Audio manufacturer Sennheiser has announced seven new headphones featuring a three-button remote/microphone module specifically designed for Apple’s iPhones, iPods, and computers. Each model is based on one of the company’s current portable headphones. 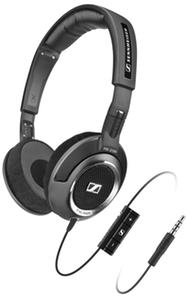 The $80 HD 218i and the $130 HD 238i (based on the HD 218 and HD 238, respectively) are larger than the PX models, with sturdier builds and more headband and earpiece cushioning. They offer sound quality closer to that of full-size cans, but are still small enough—and the earpieces fold flat—to fit in a travel bag. The HD 218i uses a closed design and has a bass-heavier sound, while the HD 238i features open earpieces and more balanced audio. 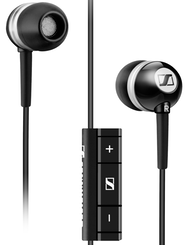 The $450 IE 8i, based on the IE 8, is a set of high-end in-ear-canal headphones. Unlike most canalphones, the IE 8i lets you tweak bass response to your taste by adjusting a physical "tuning" control on each earpiece. The IE 8i also features user-replaceable cables. Finally, the $100 MM 70i and the $140 CX 880i (the latter based on the CX 880) are “canalbuds”—earphones that fit just inside the ear canal, rather than deep inside as with true in-ear-canal models. The MM 70i sports a traditional canalbud design and produces accentuated bass, while the CX 880i uses higher-end drivers for more balanced audio quality and features an ergonomic shape designed to improve fit and noise isolation. Sennheiser says the new products should be available immediately from Sennheiser dealers and Apple online and retail stores.